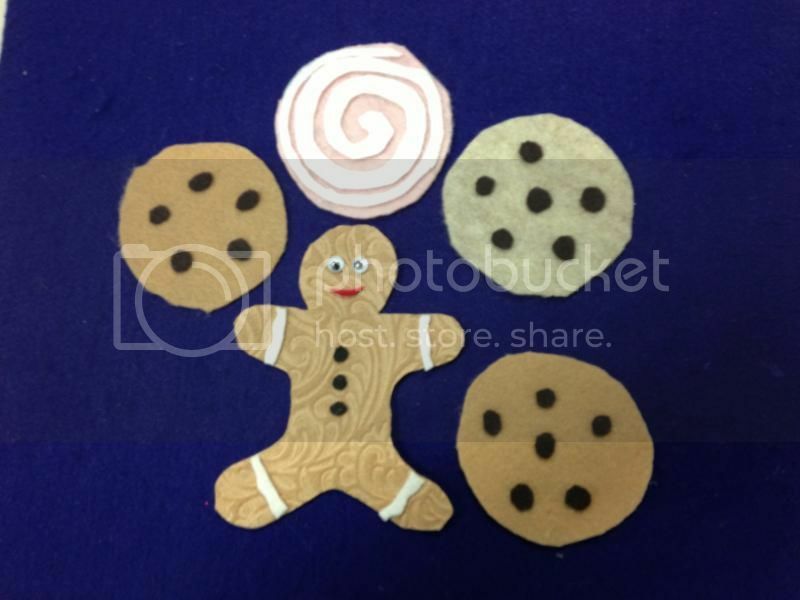 Here's a felt board I put together for a cookie themed storytime. I also have a Cookie Monster puppet, so naturally we sang a round or two of "C is for Cookie" This set of cookies includes a gingerbread man, a sugar iced cookie, 2 chocolate chip cookies and one oatmeal raisin cookie. Here's the song that goes with the felt board. Five little cookies in the bakery shop. Shinning bright with the sugar on top. Along comes (child's name) with a nickel to pay. He/she buys a cookie and takes it away.